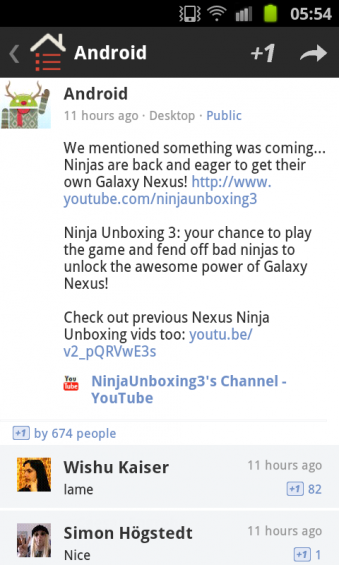 So what did Android Google+ have instore for us? Hold onto your hats people. The same account we linked to yesterday finally announced what they had in store for us. They posted a strange unboxing video game that lets you control a ninja. Hmmm mind blown. Anyway here is the link so you can see what all of the fuss was about. Will a Google Nexus tablet make a difference?